We all admit that anger is a tough emotion to handle. Usually, but not always, our anger makes things worse rather than better. Yet, anger is here to stay. Jesus shows us how anger works for the good. In a Sabbath incident recorded in Mark 3:1-6, we read in verse 5 that "Jesus, looking around at them in/with anger ( μετ οργης ), deeply grieved (συλλυπουμενος) by the hardness of their hearts, said to the man, 'Stretch out your hand!'" William Lane remarks that Jesus is angry here with "the anger of God." We are not left to wonder if this is "righteous anger." We are honestly reluctant to label our anger as such. James 1:20 is correct that our anger seldom if ever advances the righteous life that God desires. Yet, note the intentional connection of "with anger" and "deeply grieved." In the Greek text, the two phrases are side by side. This is very instructive. With this insight into Jesus' emotional state, we see anger and grief together: not anger alone nor grief alone. Rarely am I aware of grief when I am angry. I say and do things that grief wouldn't go near and never prompt. Yet Jesus' anger is a companion to deep grief. Are grief and anger different? Of course, they are. And grief, when teamed with anger, transforms anger into active, courageous compassion. We see this modeled by Jesus in this Sabbath episode. The religious leaders have schemed to trap Jesus in Sabbath disobedience. Compassion is the last thing in their hearts. Their hearts are calloused; resistant to grace. Is it lawful to kill on the Sabbath? Yet, in verse 6, these leaders on the Sabbath plot to kill Jesus. These so-called guardians of the Sabbath are blatantly disobeying it. How ironic. Jesus looked at the religious leaders in anger, yet was profoundly grieved by their insensitive spirits. Anger and grief together keep Jesus from being obsessed with the leaders. His anger and grief keep him focused on his mission; on the needy human being--the man with the withered hand. Anger diverts us (usually) from the righteous life God desires. Anger united with grief advances active compassion and brings about the righteous life that God desires. We need God to transform our anger into grief. Anger alone will harden our hearts and destroy the hearts of others. Anger with grief will prompt us to act courageously and compassionately. Spirit, mix our anger with deep grief for your sake and ours. Amen. "grief, when teamed with anger, transforms anger into active, courageous compassion..."
This moves me, and challenges me deeply. Thank you for this post, pastor Frye. Good, good medicine. Thanks for the kind words. Blessings, too, on your new courses of study. We I feel anger or more of a rage against life or God. I have to step back and most of the time its fear or sadness or grief. 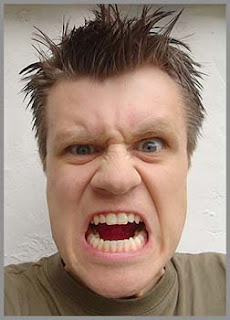 Anger gives men a false sense of power and potency. God wants us to lean into sadness and grief then a good from of anger will arise. I agree that anger can be a narcotic making us feel more powerful than we are. I like your thought of leaning into sadness and grief. Christianity is about God's Plan for planet Earth. It's not about our plans, but His Plans. Thus, anger and grief from perceived damage to our plans is never productive. However, grief over damage to God's Plan can turn the negative power of anger into a positive force. Great article. I merely found your blog along with planned to declare i get genuinely liked looking at your blog blogposts. However I’ll always be opt-in for a supply along with I’m hoping anyone article yet again rapidly.Marvelous length to be born. Amber’s wedding dresses 2012 collection configures the theory of woman’s golden proportion by revealing an unexpected power of wavy skirts. Our magical tea length wedding dresses with illusive overlay would bring you back to the spring-like girlhood. Willing to go with us? ?